Hi everyone, welcome to english-learning.net. I hope you are well today. 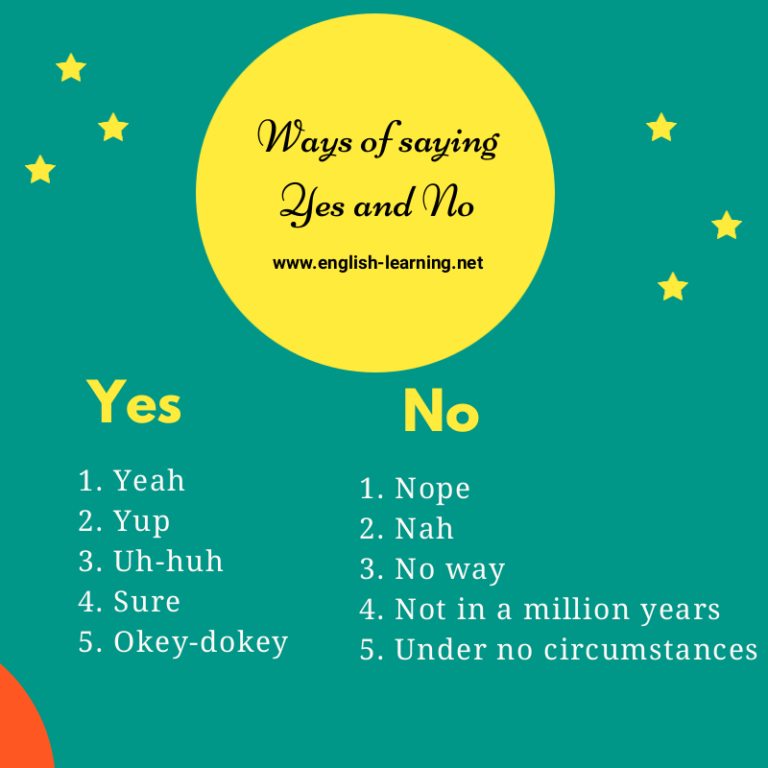 In this lesson, we are going to learn different ways to say “yes” and “no”. Do you think we should prepare dinner early? Instead of saying “yes”, you could use this funny alternative in some informal situations. I think this website is great for learning English. Do you think so? This phrase shows a strong agreement and it tells people you absolutely agree. This is the opposite of “yup”, use it with people you know well, like friends, siblings, etc. “No way” expresses a strong disagreement, you should be think carefully before using it. I was thinking if you want to go out with Nancy. Nancy? Not in a million years. She’s so mean, you know? Callum, you want to visit Paris next summer? Under no circumstances will I ever go back there. It’s a horrible city!